Updated and Move-In Condition in the Heart of St. Matthews. You'll love the beautifully refinished hardwood floors! Replacement windows let the light shine in. Kitchen updated in 2014: new white cabinets, flooring, sink, countertops, dishwasher and built-in microwave. Matching range is upgraded but not new. Large private deck off of the kitchen in a nice size fenced backyard. Plenty of closets, including cedar ones in the bedrooms. Equipped with plugs and cable outlet, a finished room in the basement has been used as an office and game room. There's unfinished area for storage space, washer/dryer hook-ups and a closet with shelving. Straight-in access down the basement steps through the back door for moving in large items. Upgrades since 2014 include: vinyl siding, 6 windows, roof shingles, gutters, 40-gallon water heater, all plumbing waste lines in the basement, some electrical circuits and plugs. Louisville Water Company installed a new meter and line to main in 2018. SchoolsClick map icons below to view information for schools near 122 Colonial Dr Louisville, KY 40207. Home for sale at 122 Colonial Dr Louisville, KY 40207. Description: The home at 122 Colonial Dr Louisville, KY 40207 with the MLS Number 1516707 is currently listed at $172,500 and has been on the Louisville market for 192 days. 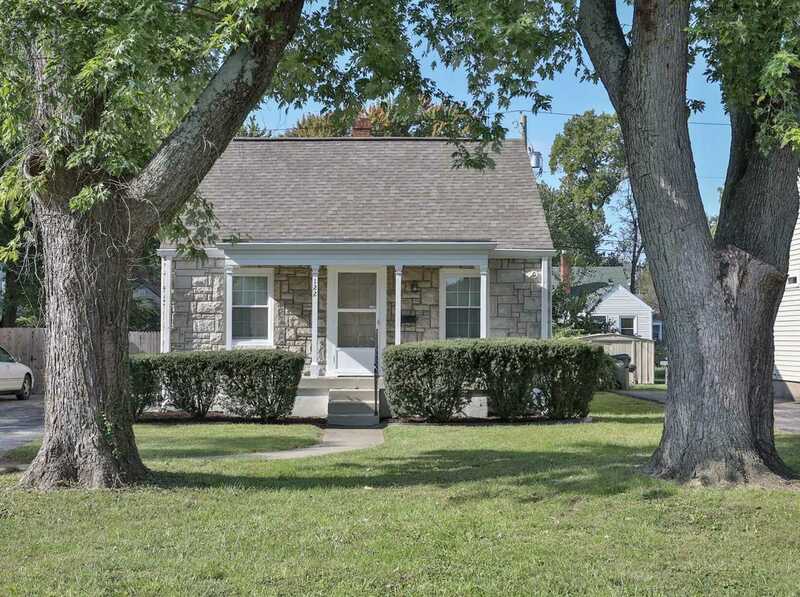 You are viewing the MLS property details of the home for sale at 122 Colonial Dr Louisville, KY 40207, which is located in the Colonial Village subdivision, includes 2 bedrooms and 1 bathrooms, and has approximately 991 sq.ft. of living area.